What Deep Conditioner should you be using? — Berni Inc.
What Deep Conditioner should you be using? Is your hair feeling and looking a little “blah” lately? Feeling like it needs a pick me up? Whether it’s lifeless, frizzing out of control or lost its shine, it’s probably because your hair is lacking something crucial - mositure. From straightening to lightening, and the everyday environment, we put our hair through so much. We often compare our hair to our skin. Think about how we take care of our skin; make up remover remove, face wash, toner, serum, mask, moisturizer, and sunscreen. Now think about how you are taking care of your hair? Shampoo and condition, and maybe using a product? See this difference? Want to know one of the best ways to restore and revive your lifeless locks? Invest in an at home deep conditioning treatment. How often should you be using a deep conditioner? This is one of the most common question we get from our clients. Deep conditioners should be incorporated into your weekly routine. They are not meant to be used only when your hair is past the point of no return. Just like with face masks, the more you use them, the more your hair will improve over time. What’s the Difference Between a Hair Mask and a Deep-Conditioning Treatment? There are endless products that are designed to restore your hair, but which is the best? The very important difference between these two similar hair care products. “Masks leave your hair feeling silky and smooth, but they are just that: a mask.” In other words, they’re only going to cover up the problem—not permanently fix it. You need a treatment to change the chemistry of your hair. Heat styling/color/climate all breaks the bonds in your hair so everyone should be using a bond-building treatment at home. What’s the best deep conditioner for my hair? We broke it down to our favorite deep conditioners for every hair type. Thick, fine, curly or normal, no matter your hair type, it’s important to find products tailored to your hair needs. We’ve complied some of our best deep conditioning treatments, listed by hair type/concern, so you can find the perfect treatment of your hair. The Hydrate Superfood Treatment formula leaves hair feeling hydrated and vibrant. It is made with essential nutrients such as Avocado Oil and Coconut Oil to nourish and moisturize dry hair while strengthening the surface of the hair. The Strength Cure Superfood Treatment leaves hair looking and feeling stronger. The Goji Berry Extract and Olive Oil to protect hair from environmental damage while increasing smoothness and shine. For many of us, damage to our hair is inevitable. For my blondes, that want to always be blonder. You need to add olaplex to your weekly routine. Blowdrying, straightening, and curling day after day takes a toll on the integrity of your hair and can leave it looking and feeling lifeless. If you use heat on your hair as part of your daily routine, then you need a deep conditioning treatment. A concentrated treatment that strengthens the hair from within, reducing breakage and improving its look and feel. It addresses damaged and compromised hair, while strengthening and protecting the hair structure. Giving the hair a healthy appearance. Give your hair the equivalent of a spa day. This deep conditioner has 21 benefits, penetrating strands to instantly restore, protect and strengthen. Adding shine, helping maintain beautiful color, all while helping nourishing hair. Do you feel like your hair keeps getting fuller and frizzier no matter what you try? A deep conditioner can help tame your frizz and give you silky, smooth hair - especially ones made specifically for your hair type. 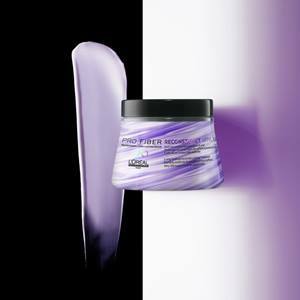 This ultra-smoothing mask made to tame and silken the most unmanageable hair with up to 72 hours of frizz control. This smoothing mask conditions, smooths, and strengthens, leaving strands extremely soft, supple, and totally under control, rain or shine. Is your hair hard to manage? Good news, you’re not alone. Coarse hair is difficult but with the right products, you can begin to tame your hair. One secret is to clip it up, and put a bag around your hair to trap in the heat so it can take the deep conditioner to the next level. A restorative hair masque that works to smoothen and hydrate damaged hair from root to tip. A professionally formulated hair masque for damaged hair, leaving it stronger with long lasting protection against damage. “I don’t want to weigh my hair down” those words are what we hear the most from our clients with finer hair. It’s still important to add this into your routine to strengthen ends, tame frizz and restore the natural shine. Just make sure to keep it off your roots to keep it from weighing down. A deeply hydrating, shine-enhancing mask that weightlessly restores softness and luster to dry hair. This indulgent conditioning mask enriched with jojoba oil melts into hair to moisturize intensely and detangle weightlessly.